Daytona Rush - The official DAYTONA® game now on mobile! NEW: Daytona Rush is available for your Android TV too. • Switch lanes with a single tap or swipe. • Overtake opponents and avoid collisions. • Save fuel by drafting to reach the pitstop and refuel. • Level up in 5 series by completing missions. • Earn reputation points in Nightly Races. • Unlock faster high level cars and drive further! • Upgrade engine to reduce fuel consumption. • Enhance the running gear for quicker lane change. • Strengthen the chassis to survive more collisions. • Change color and paint jobs to suit your taste. • Drive with the controller or the remote. • User interfaced tailored for TVs. 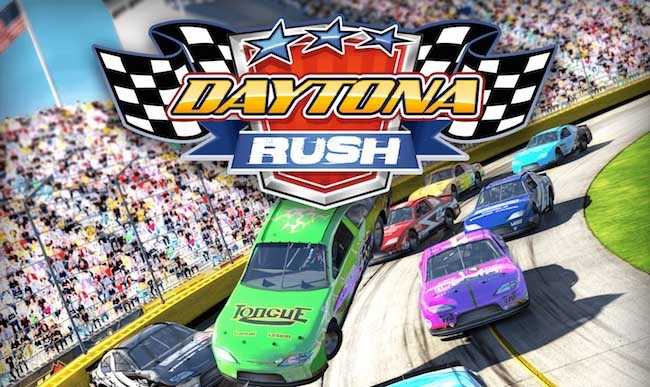 Daytona Rush: install APK and play the game.